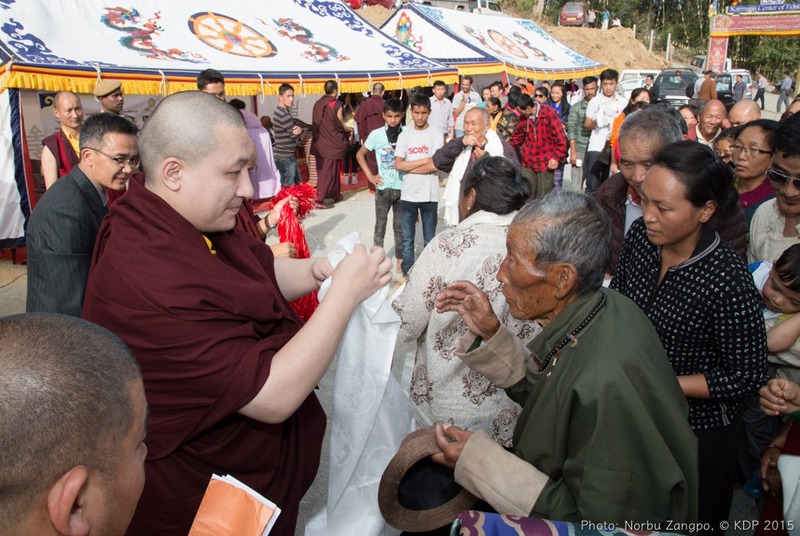 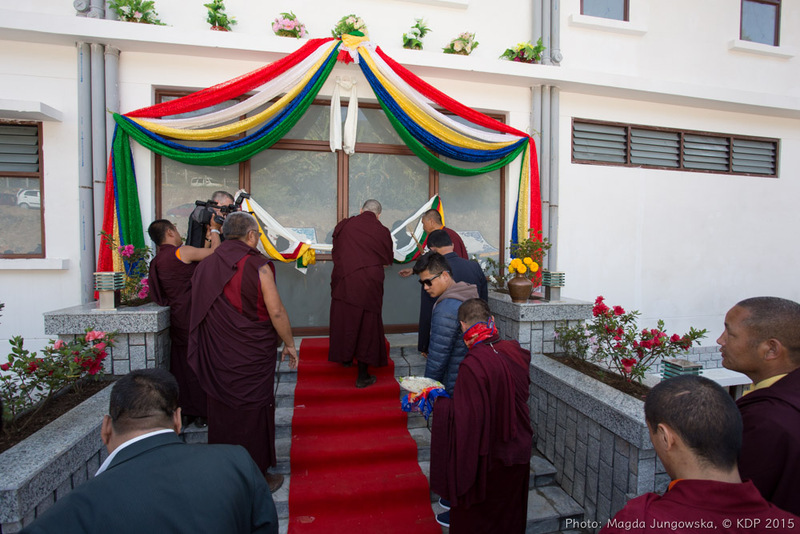 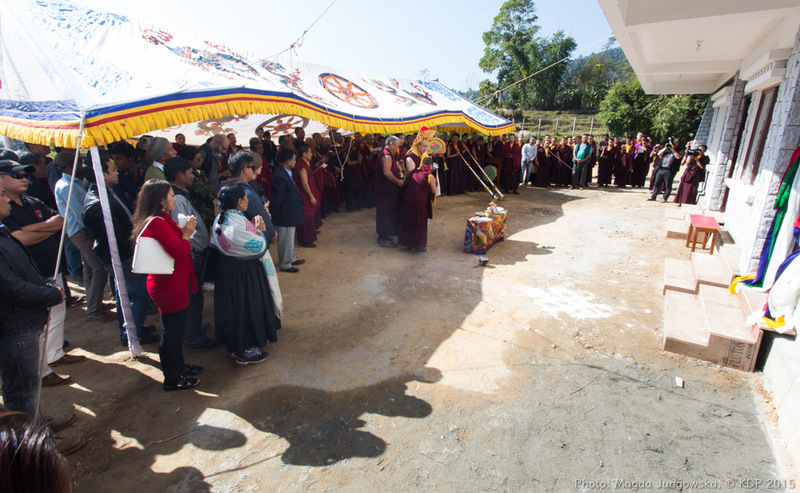 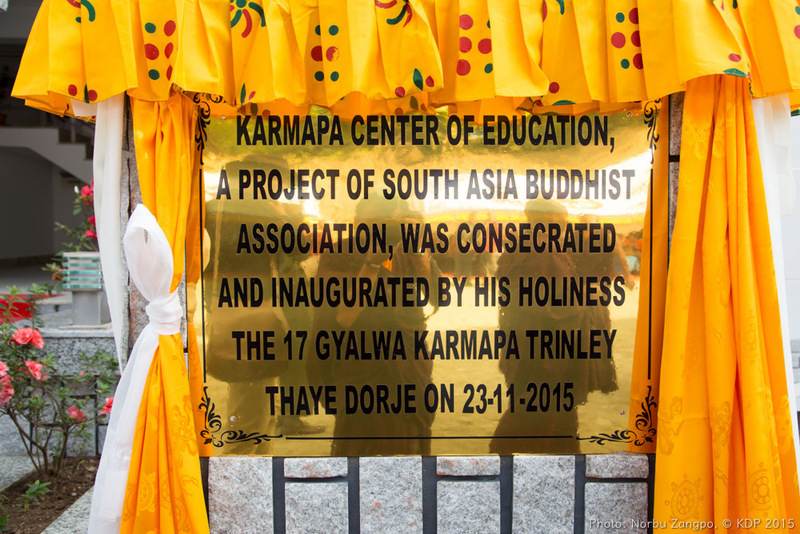 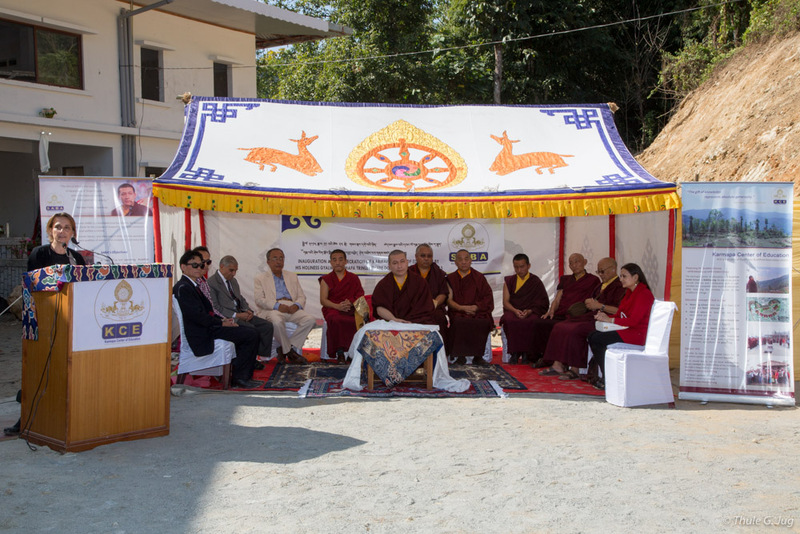 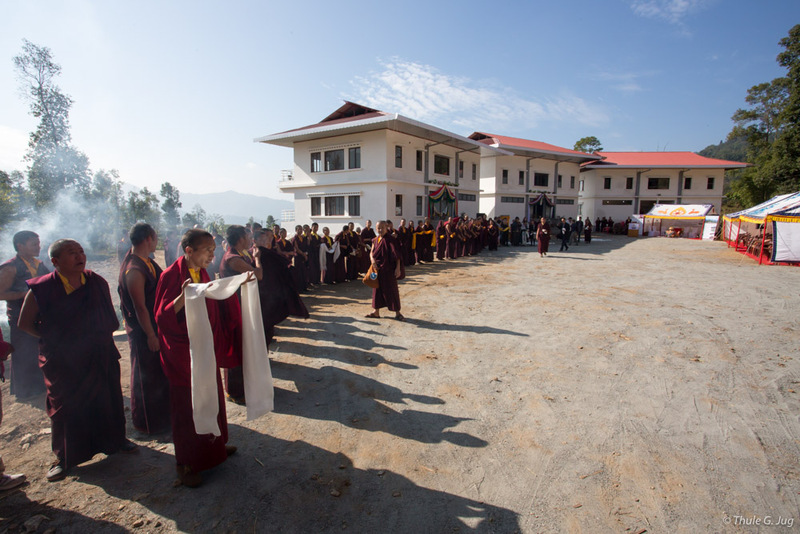 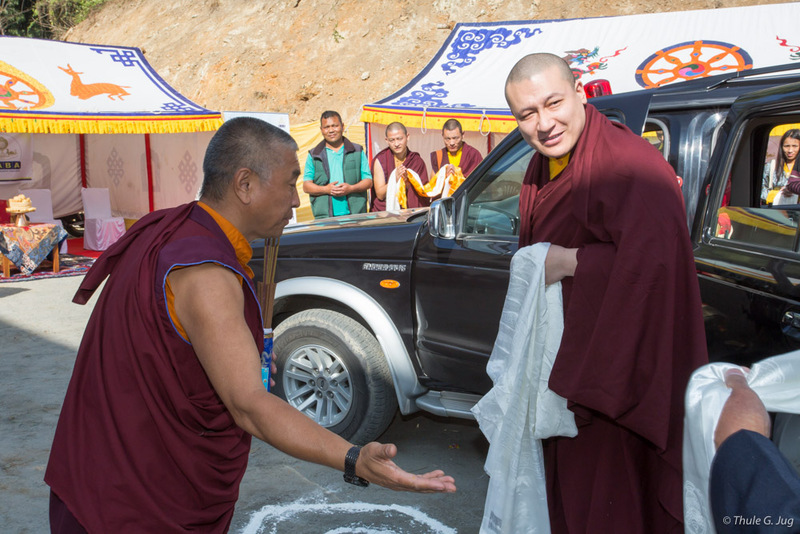 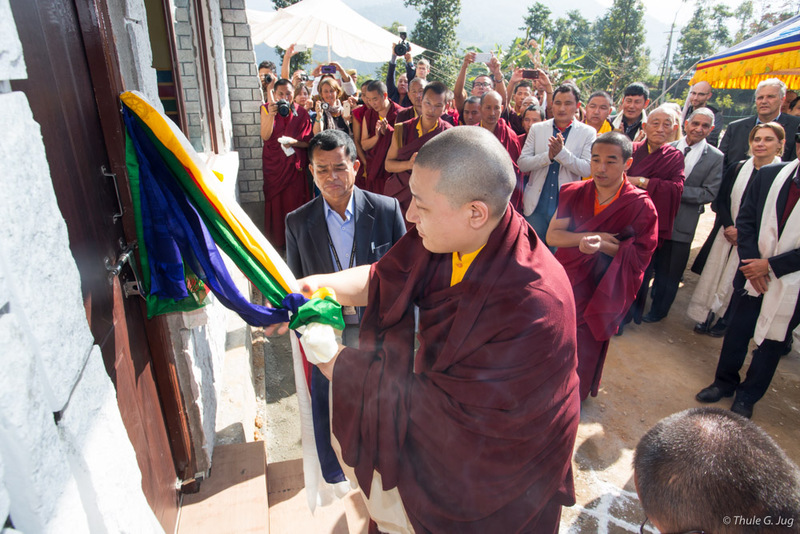 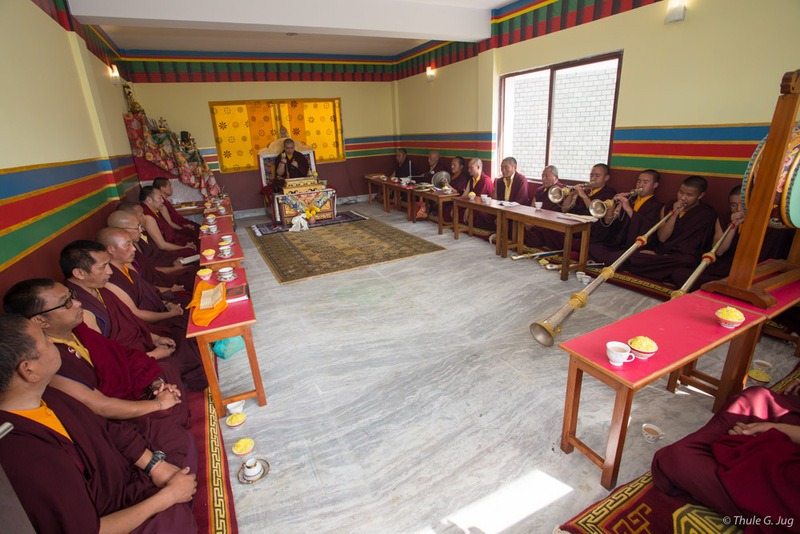 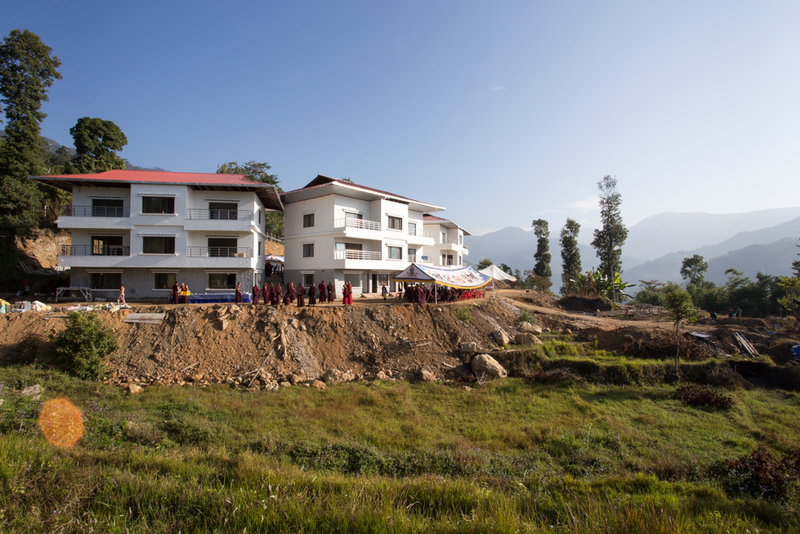 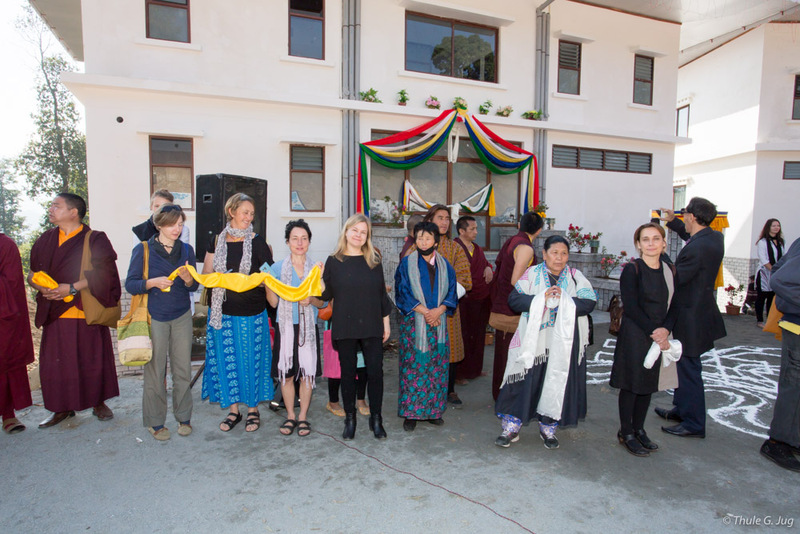 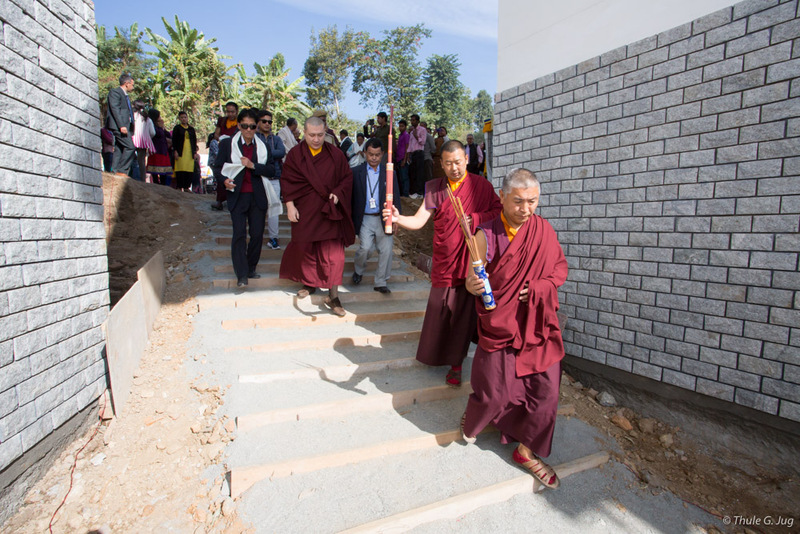 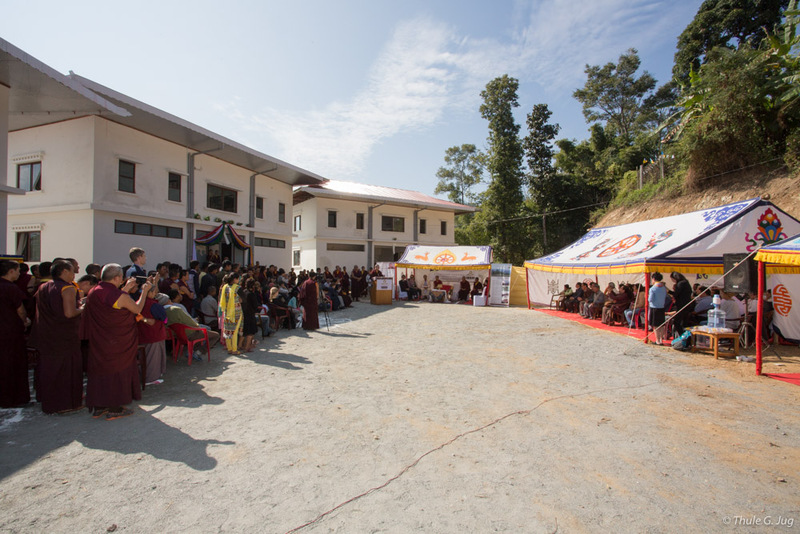 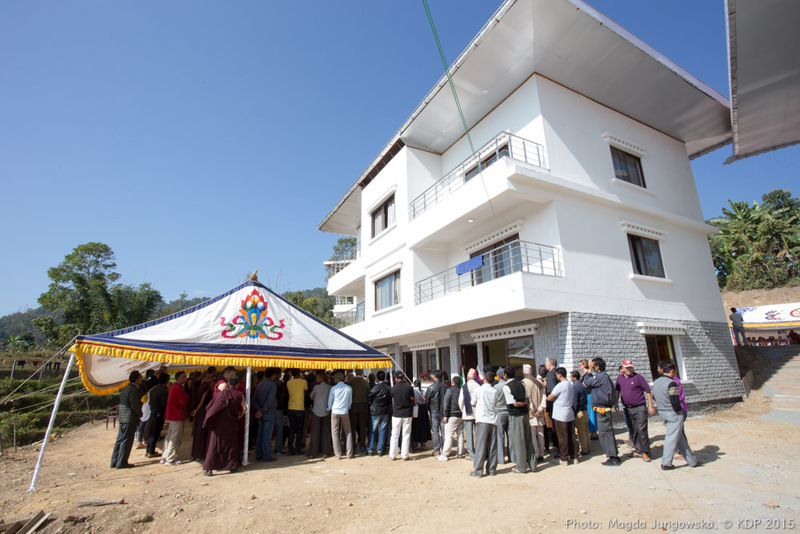 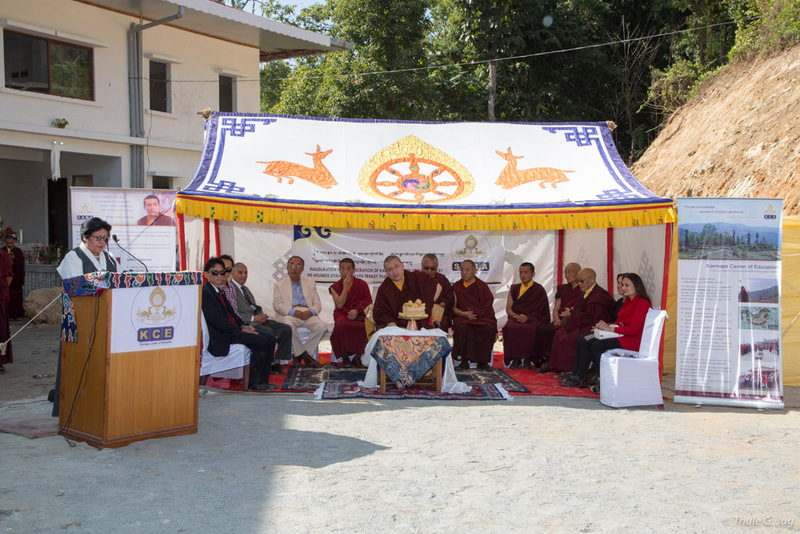 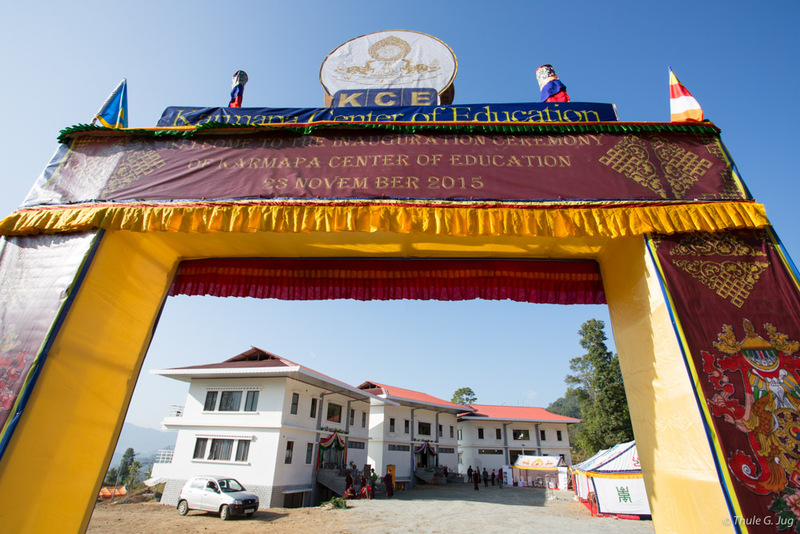 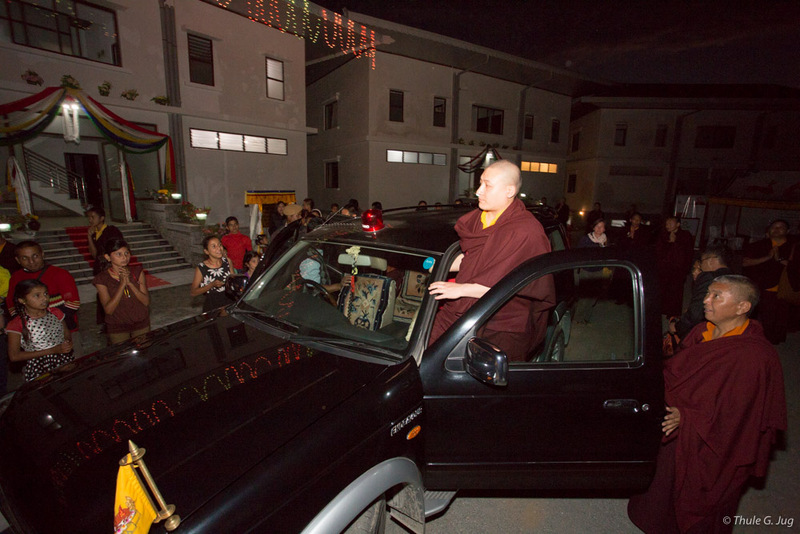 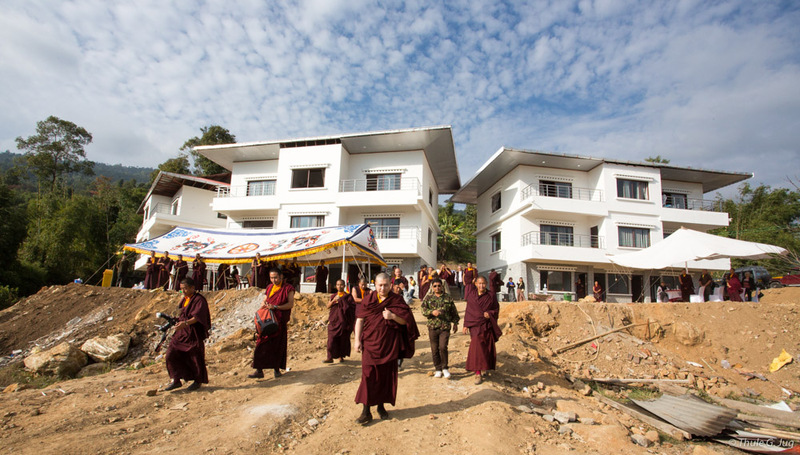 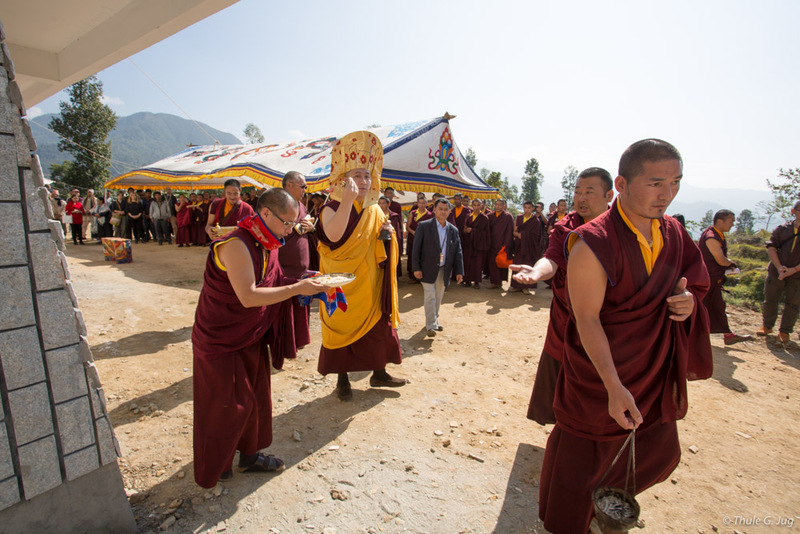 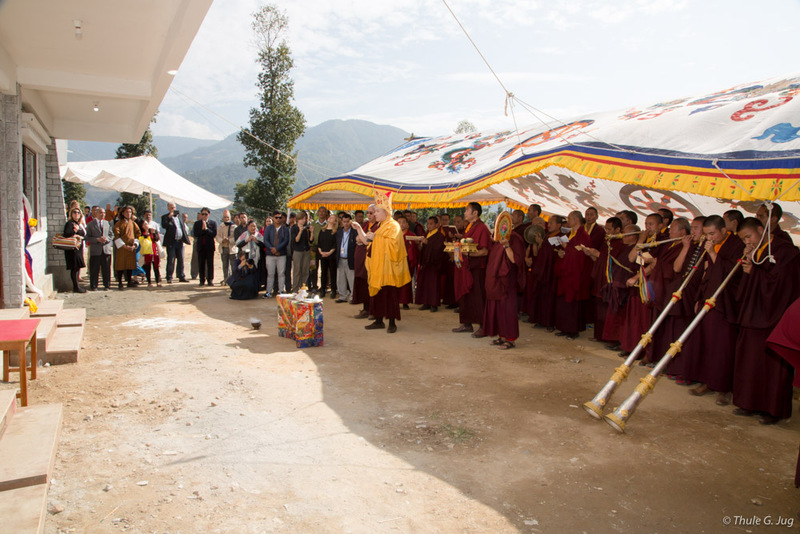 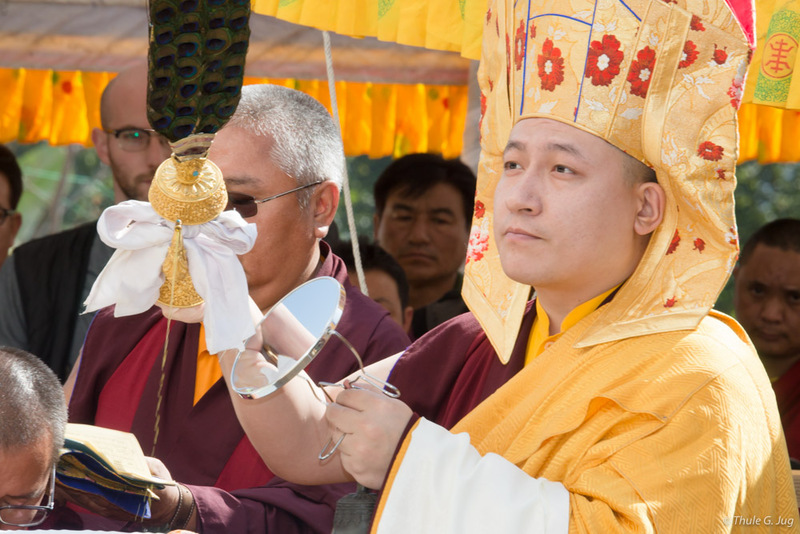 Kalimpong – On 23 November 2015, Thaye Dorje, His Holiness the 17th Gyalwa Karmapa, conducted the consecration ceremony for the first three buildings of the Karmapa Center of Education (KCE) in Kalimpong. 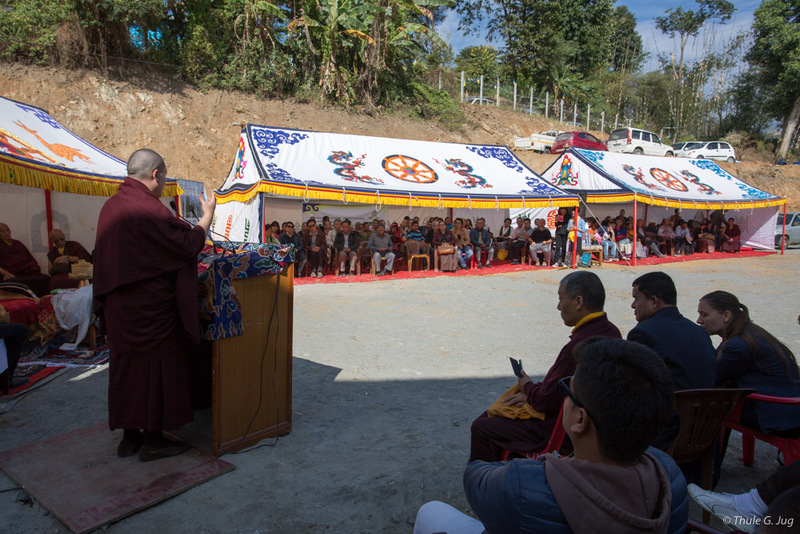 The monks of Shri Diwakar Buddhist Academy, the monastic sangha of Rumtek, many followers of His Holiness from Sikkim and the surrounding areas, as well as KCE supporters from all over the world attended the inauguration. 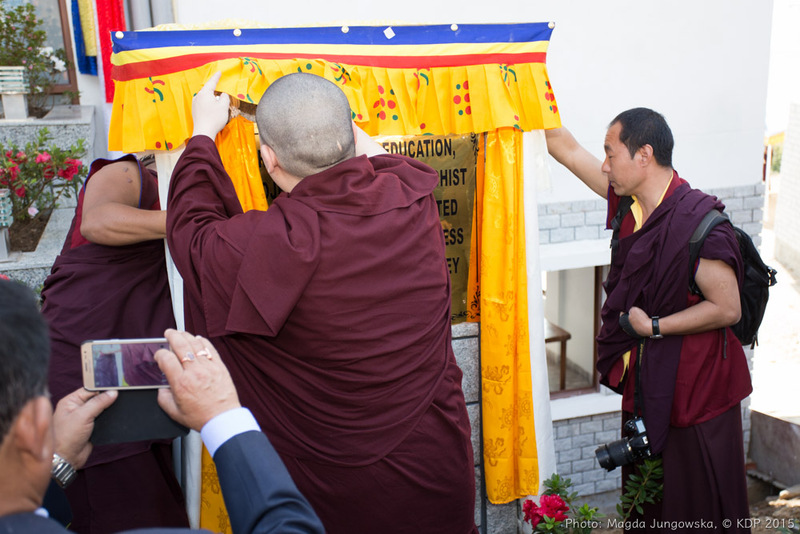 After welcoming His Holiness, the program started with the consecration puja (Rabne) and auspicious prayers by His Holiness and the monks. 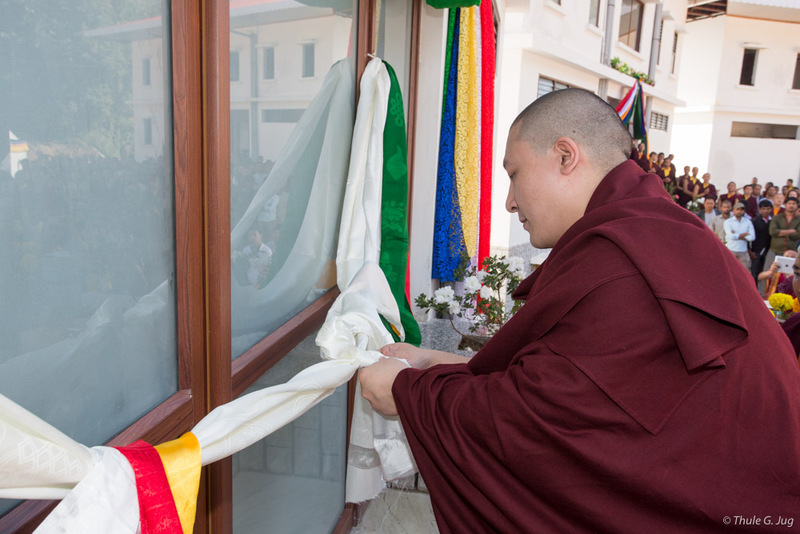 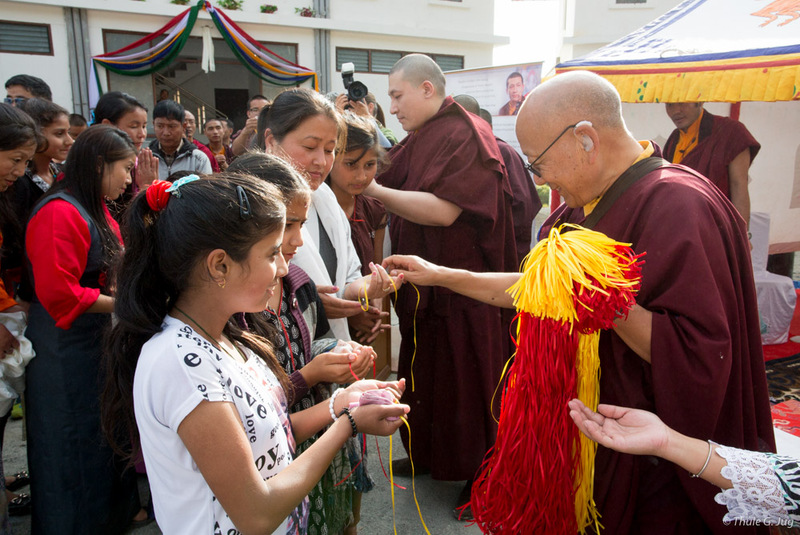 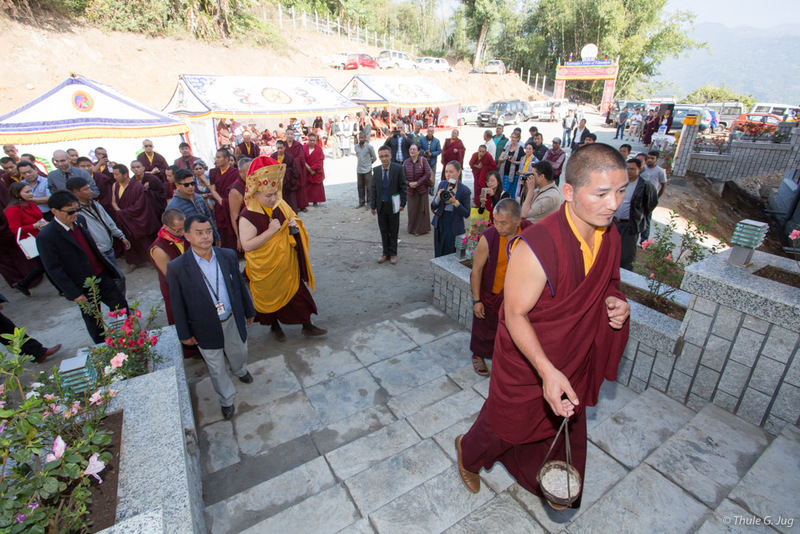 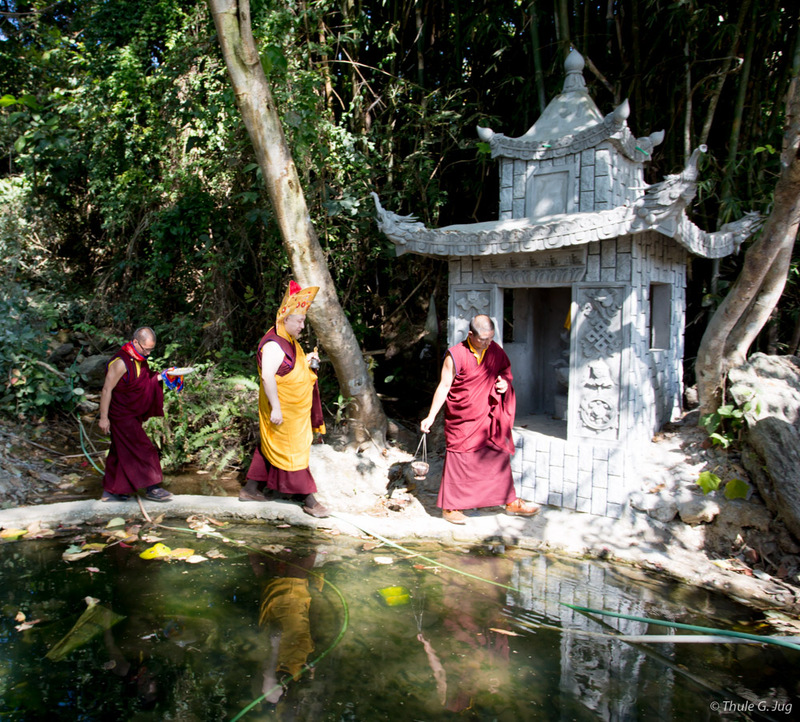 Once he had performed the symbolic cutting of the ribbon, His Holiness blessed the buildings and the beautiful site. 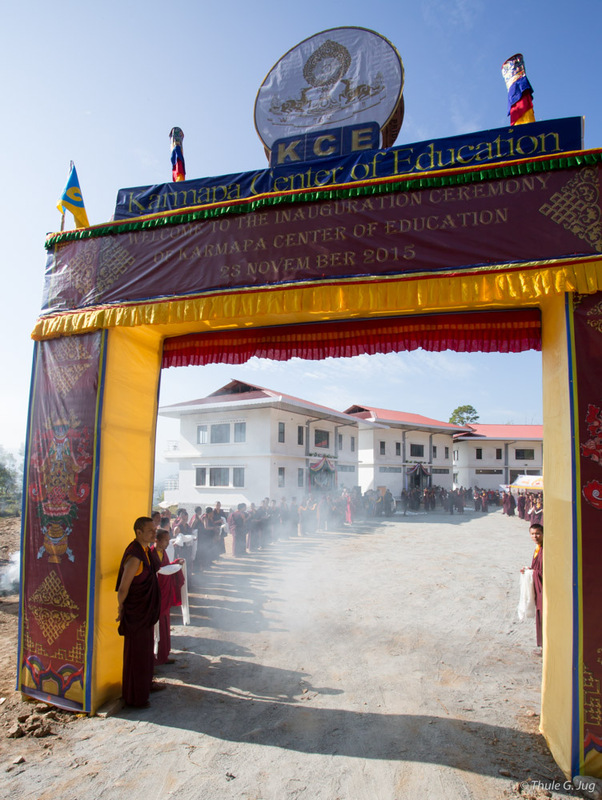 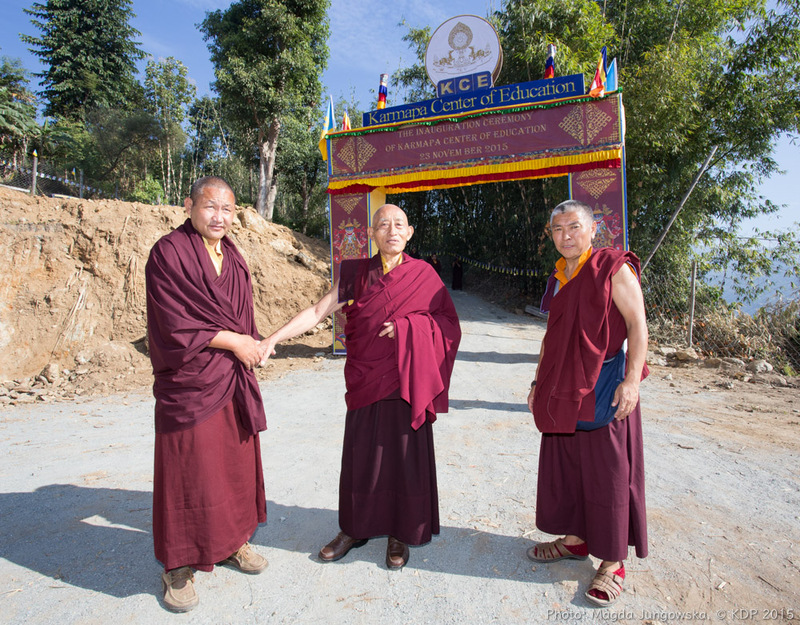 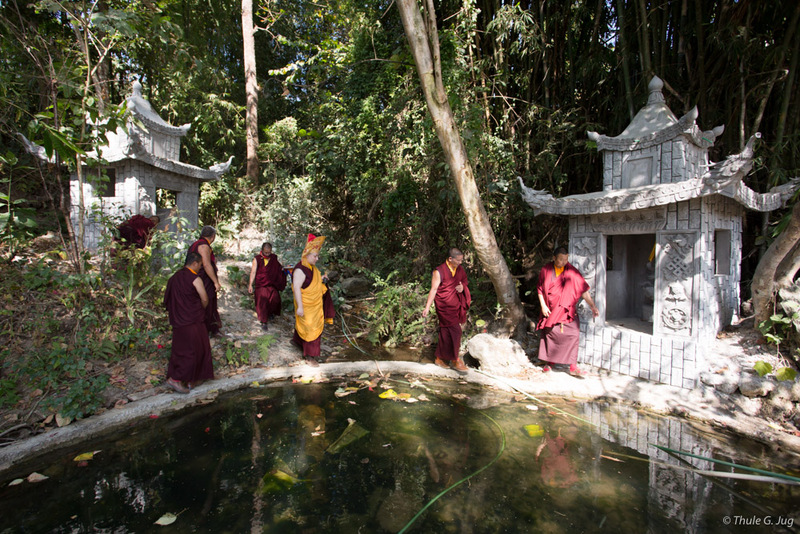 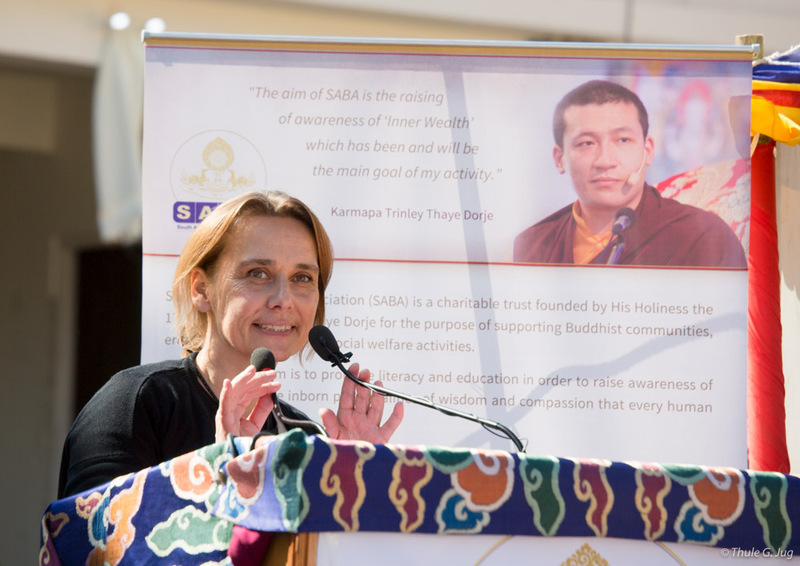 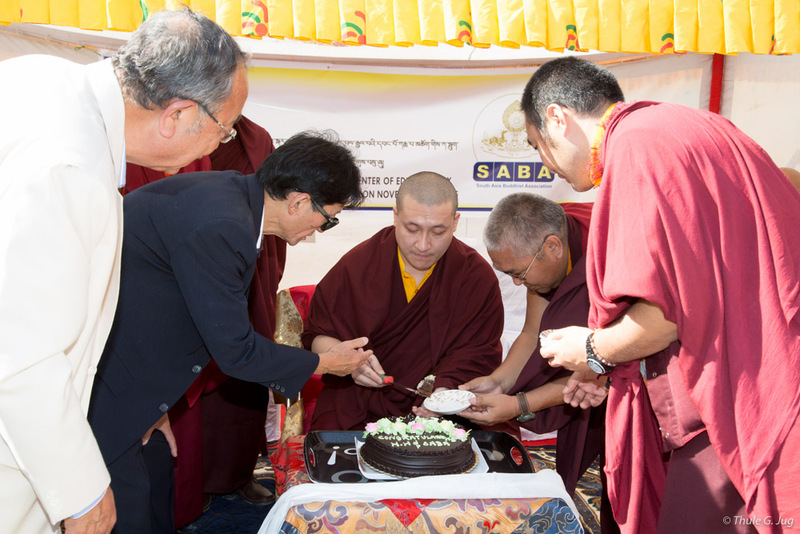 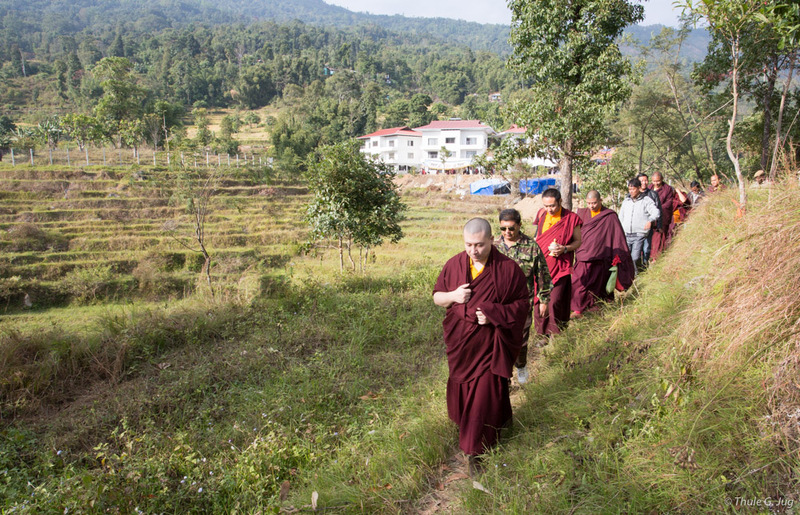 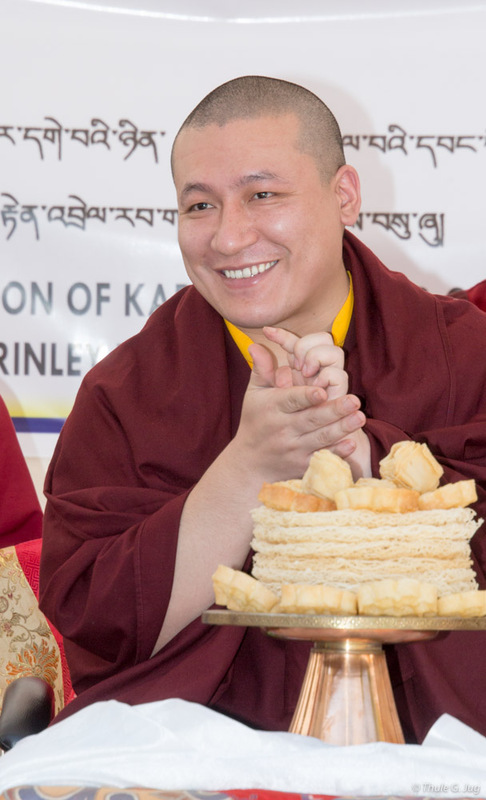 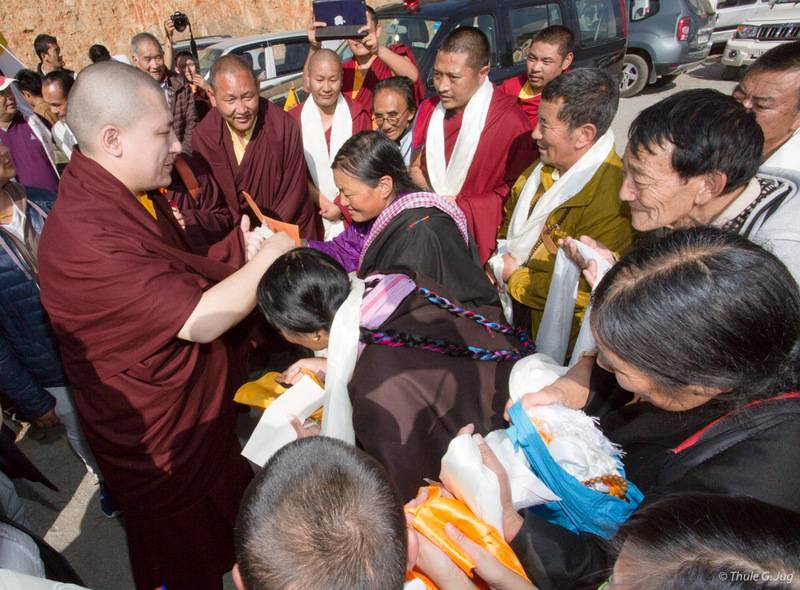 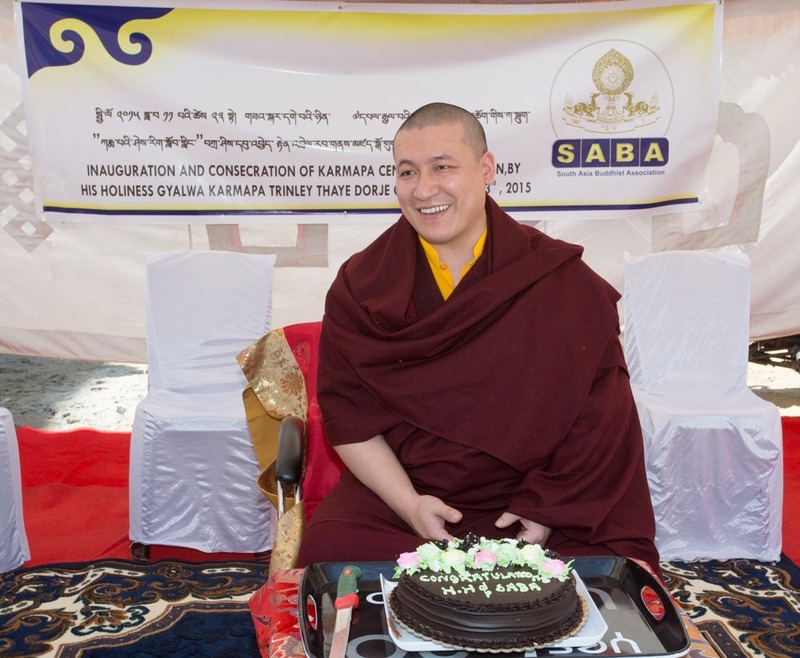 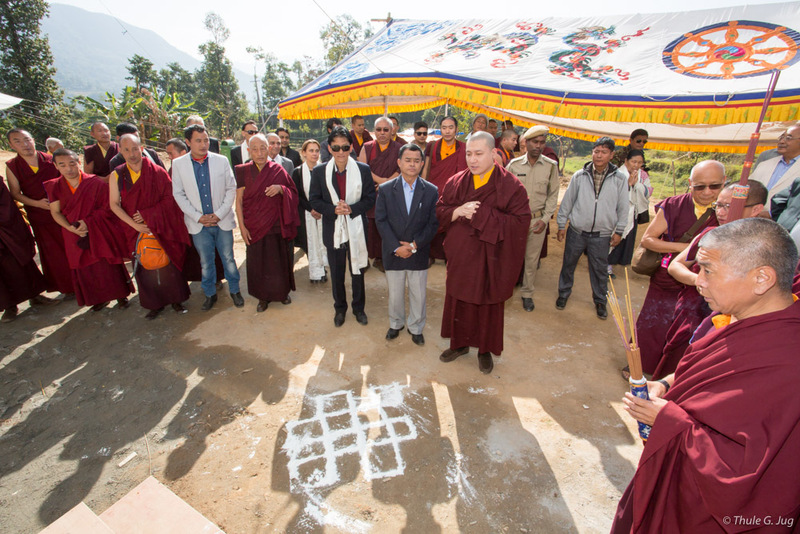 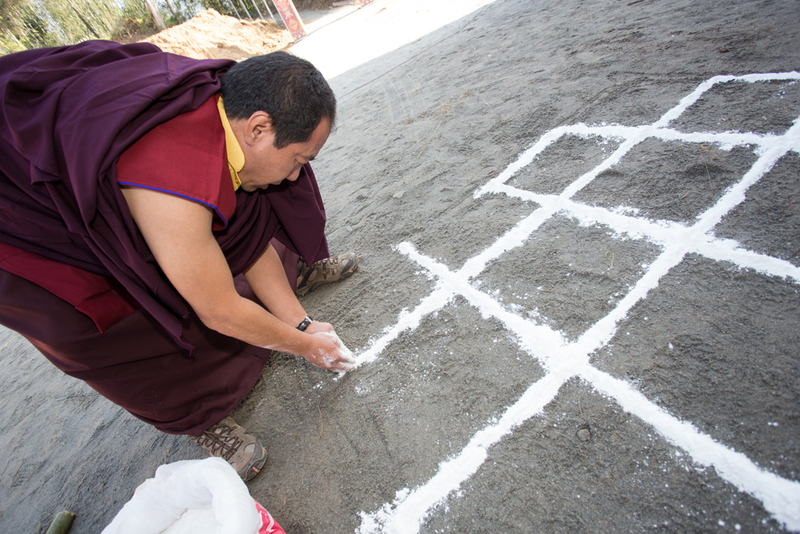 Since one of the main objectives of His Holiness’ charitable trust SABA is to support the monastic Sangha, the newly established KCE is a pilot project which will explore new forms of education that combines the precious traditional teachings of the Buddha dharma as usually taught in the monasteries, with a modern education that allows students to follow the Indian school curriculum. 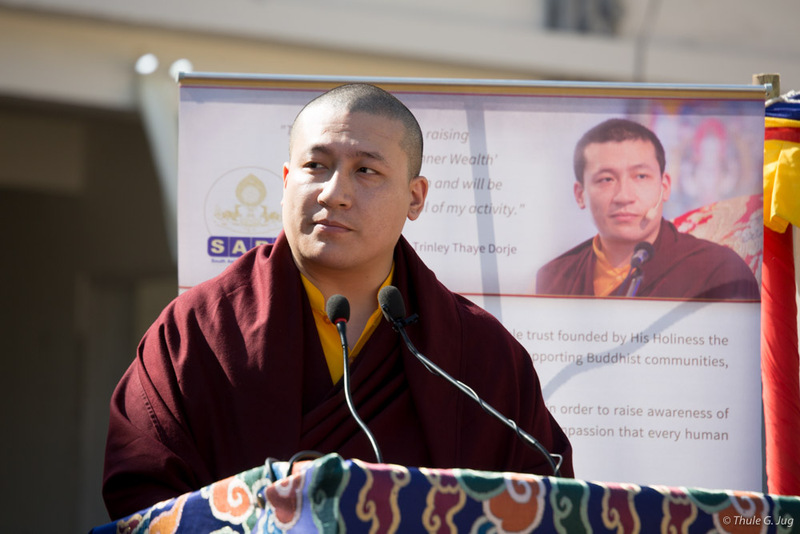 Gyalwa Karmapa addressed the gathering and gave a speech on the importance of the monastic sangha. 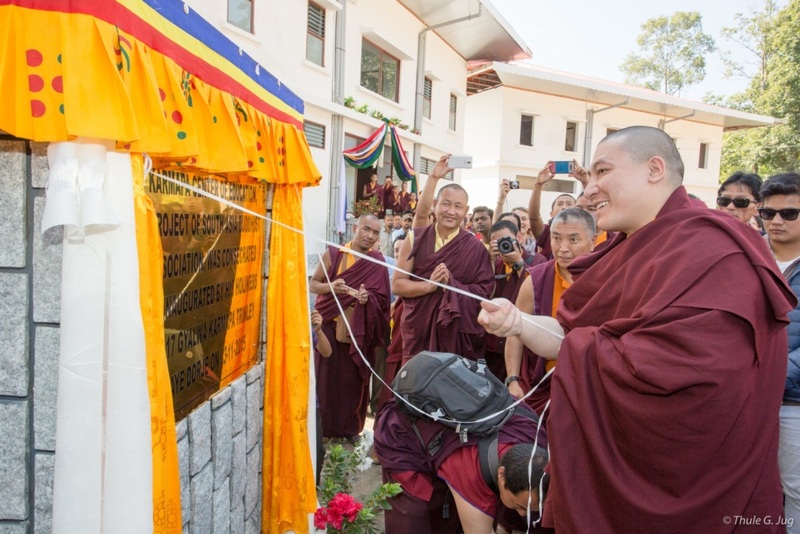 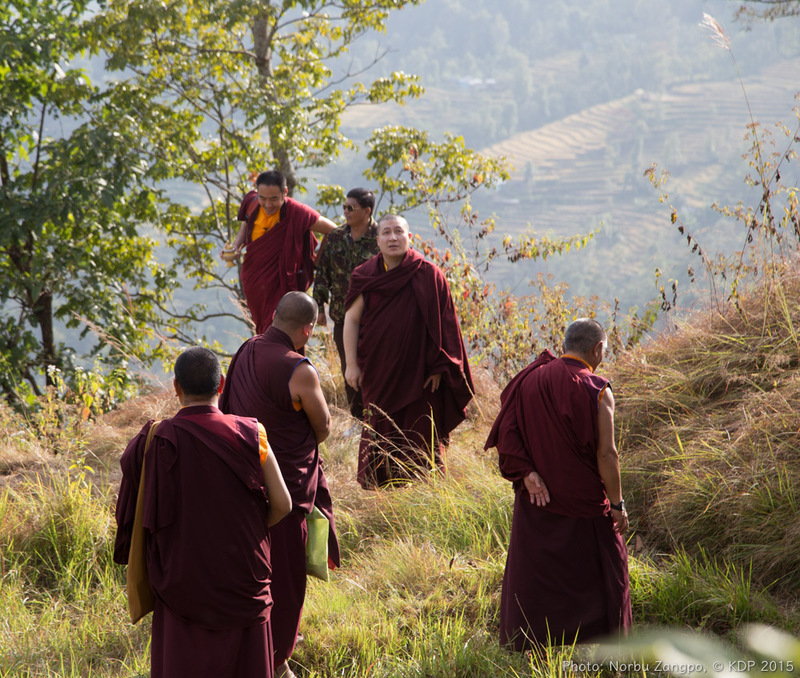 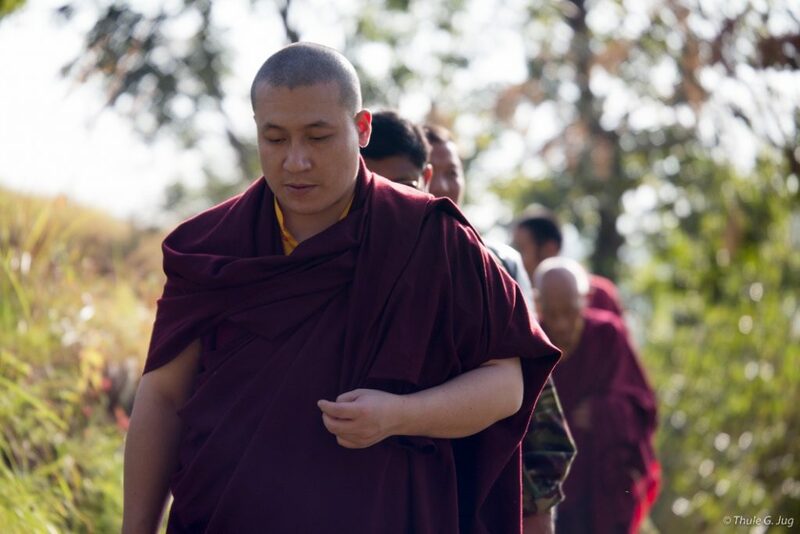 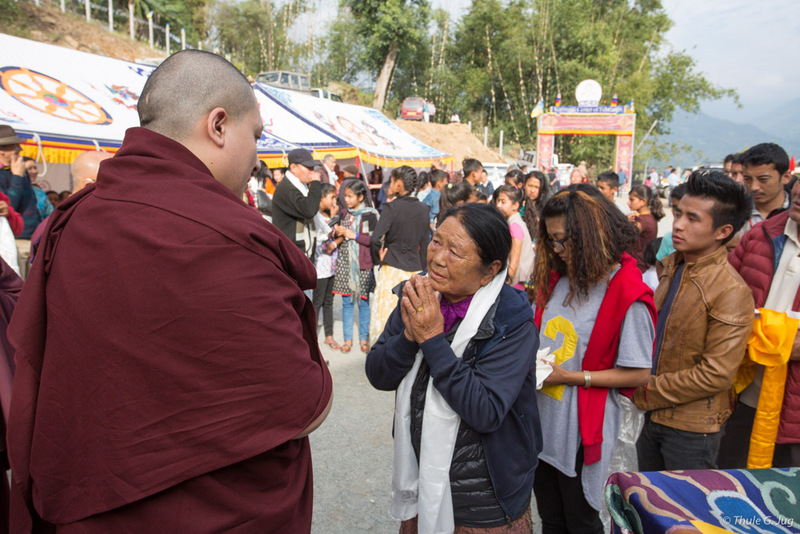 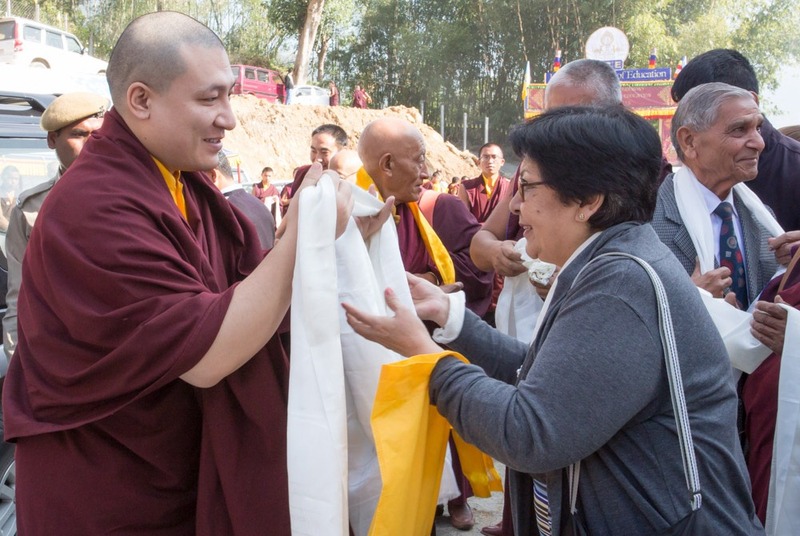 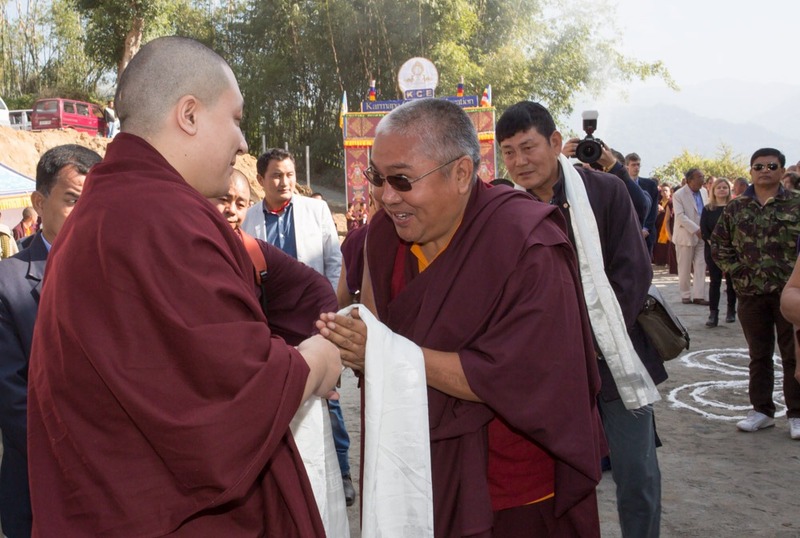 Among the topics mentioned, His Holiness pointed out that the future generation of the monastic sangha will depend largely on the youth and that the Karmapa Center of Education had been founded with this very aim in mind: to strengthen the monastic Sangha. 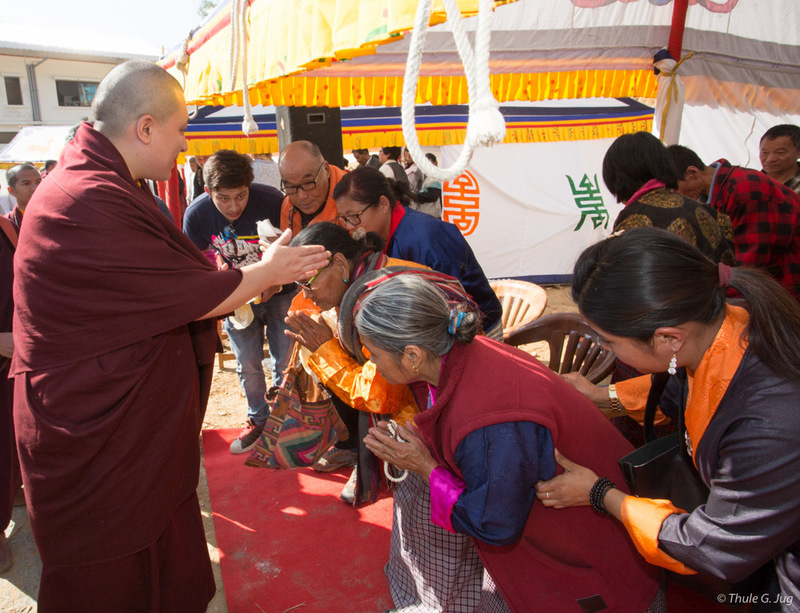 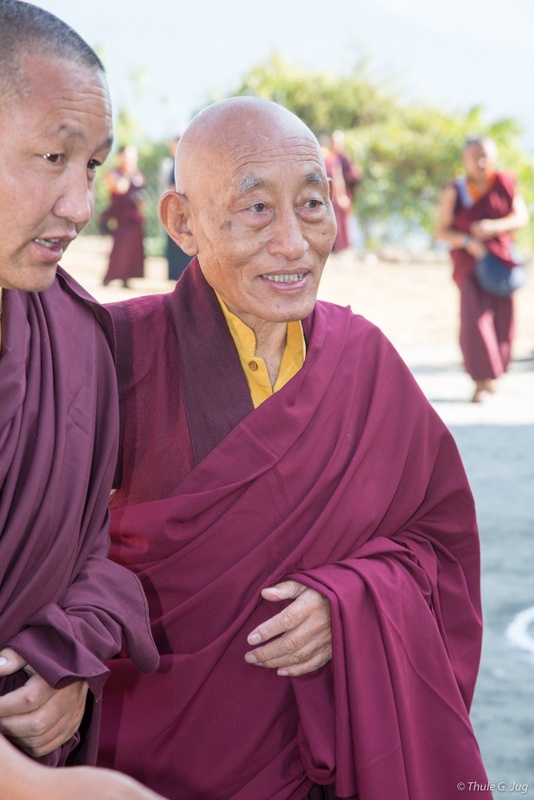 His Holiness also expressed his gratitude to everyone who has an interest in supporting this project and offered his deepest aspirations so that it may bear its wonderful fruit: none other than the development of a proper monastic sangha. 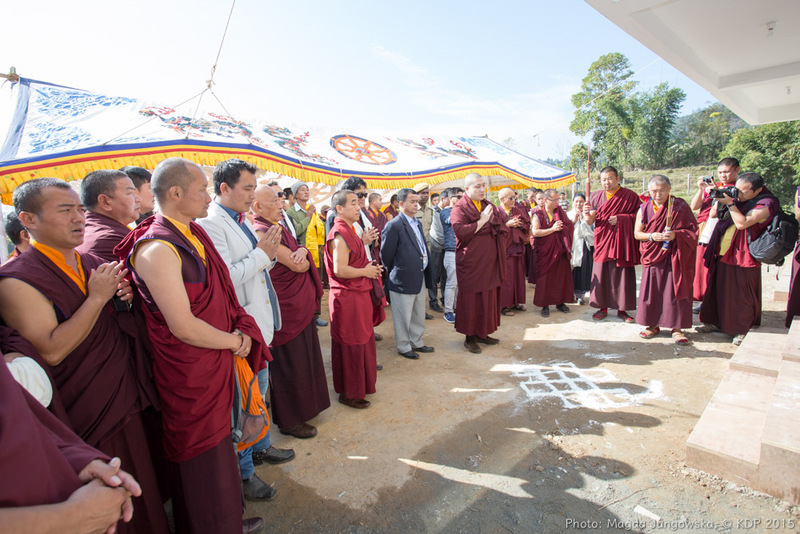 The opening celebration ended in a joyful atmosphere, with many inspirational exchanges of thoughts and ideas on how to work towards this great vision.